During 2010 "Glenafton" attended 5 shows, Geelong,Ararat,Ballarat,Noorat and Kingston. The animals and results as follows. 1st Buck over 2 years any breed, and Champion Buck All Breeds. At Kingston Beau was 2nd in the Buck over 2 years class, Reserve Champion Buck All Breeds and Reserve Anglo Nubian Breed Champion. 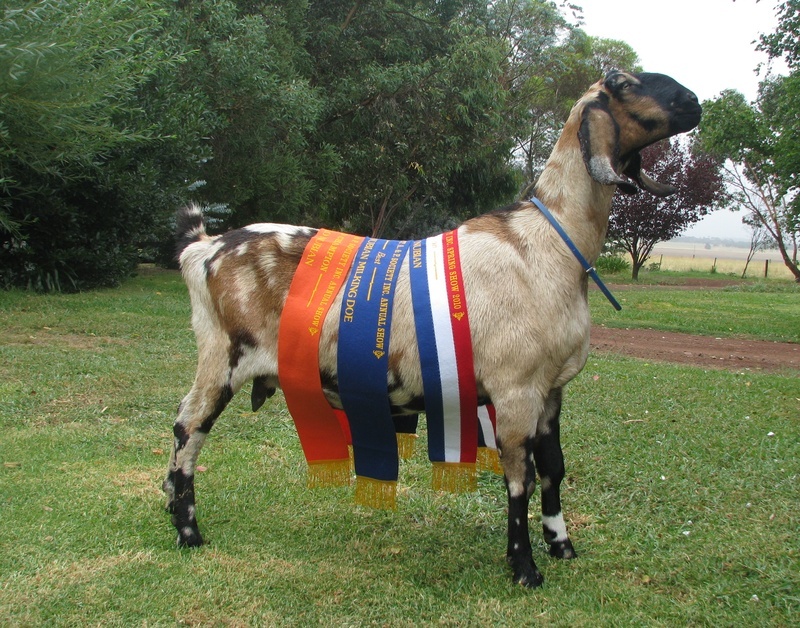 At Geelong, Ararat, Ballarat & Noorat Saffire was 1st in the Anglo Nubian Doe in milk 2nd + lactation classes. Kingston saw Saffire placed 2nd in the same class. Saffire was Champion Anglo Nubian Milking Doe at Noorat, she was placed 3rd in the Best Udder Class at Ballarat. 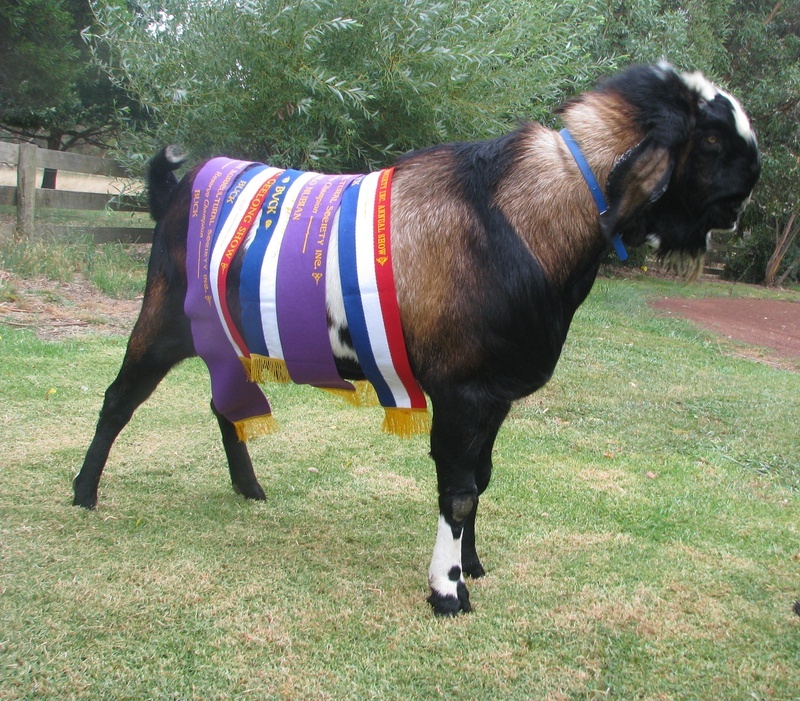 Major achievements were Anglo Nubian Breed Champion at Noorat and Ballarat. Tahli attended 3 shows for the season. Ist Anglo Nubian Ist Lactation at Noorat and Ballarat and 2nd at Kingston. 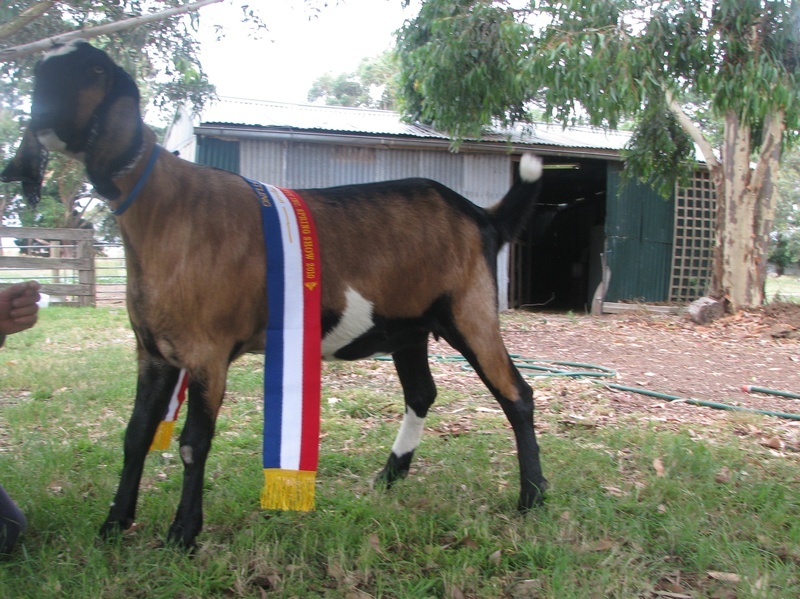 Tahli was Reserve Champion Anglo Nubian Milking Doe at Noorat. Sammy' only attended 1 show Ararat- and she placed 2nd in the Anglo Nubian 2nd + lactation class. 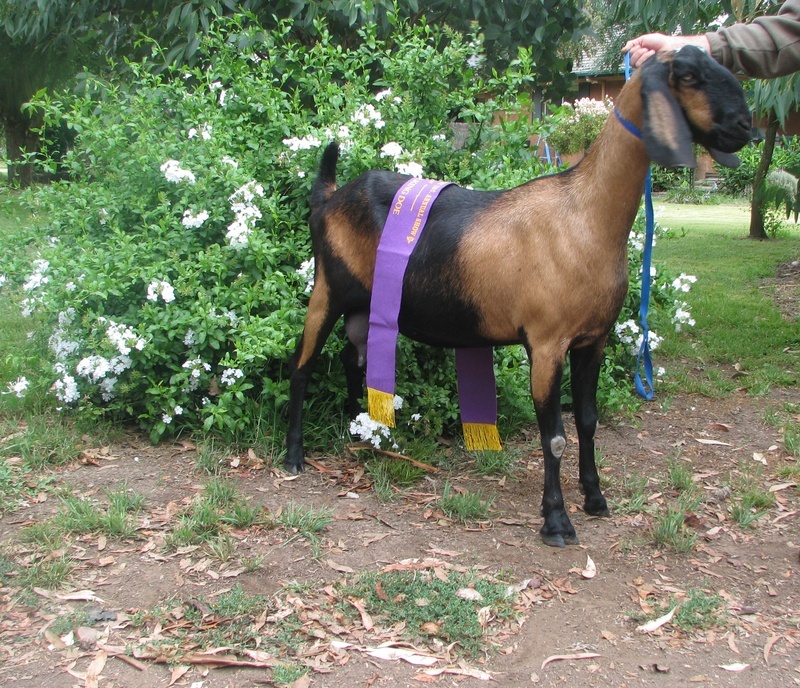 Safina was placed 1st in the Anglo Nubian Goatling class at Ararat and Ballarat, 2nd in the same class at Noorat,Kinston and Geelong. Safina was Champion Goatling All Breeds at Ballarat Show. 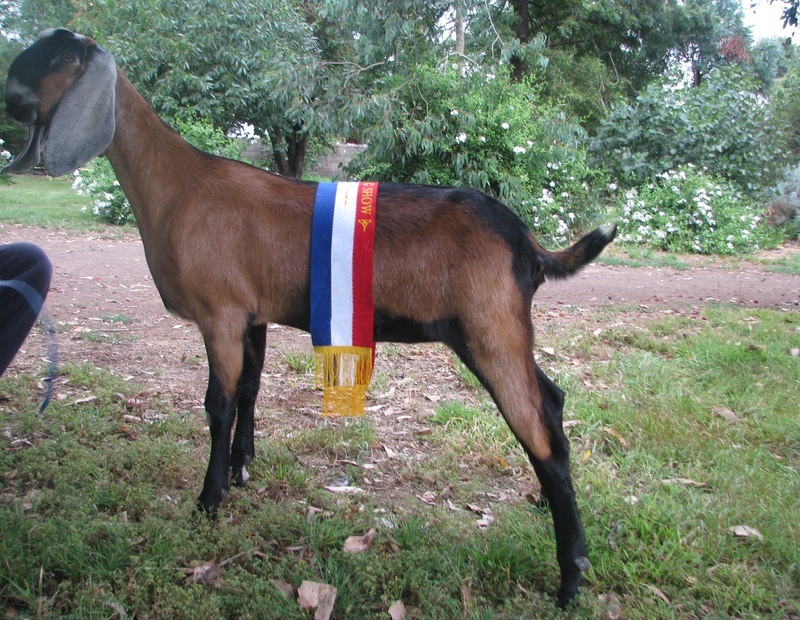 Matika was at Ararat show only- where she placed 3rd in the Anglo Goatling class. Karli was placed 1st in the Anglo Nubian Doe Kid class at Geelong, she placed 2nd in the same class at Ararat,Ballarat and Noorat. Karli was Champion Doe Kid all breeds at Geelong Show. Farouk was placed 1st in the buck kid any breed under 12 months at Kingston,Noorat, Ballarat and Geelong. A combination of the above animals also saw us place in multiple Breeders Group classes. Showing is a great way to see how your breeding programs are developing in comparing our animals with other studs. It is also enjoyable and an opportunity to show the public the different types of Dairy Goats in Australia.